Thank you for joining Scripture & A Snapshot. A dear friend gave me this lovely ornament last night. Leave a comment with a verse that God has placed on your heart this week, or leave a link to your own post sharing a Scripture and a snapshot. Take time to visit some of the other links, too. Merry Christmas! 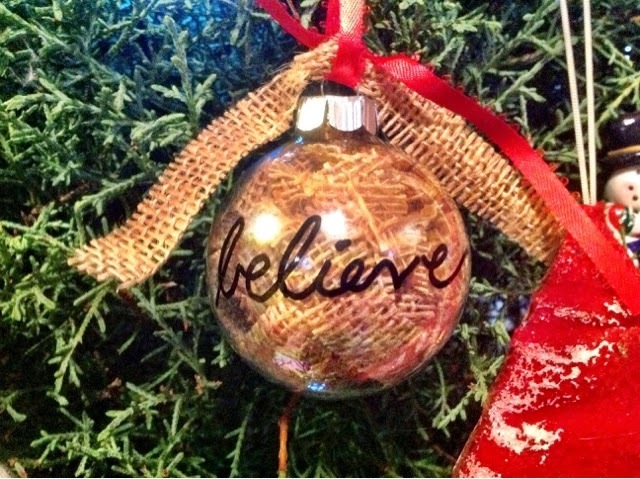 What a sweet ornament idea! Love the combination of textures! Ornaments make the best gifts - we can enjoy them year after year. Blessings! Such a beautiful ornament; Jennifer! Wishing you a Joyous and a Blessed Christmas!